Rosewood Corn Holders | Patio and Hearth Co. 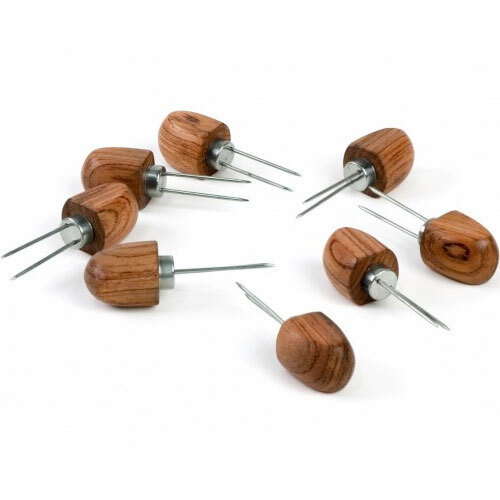 These rosewood corn holders are a perfect match for the Vineyard Tool Set (CC1109). Each classic holder provides a safe grip for a hot ear of corn. Four sets. Inquire about Rosewood Corn Holders using the form below.